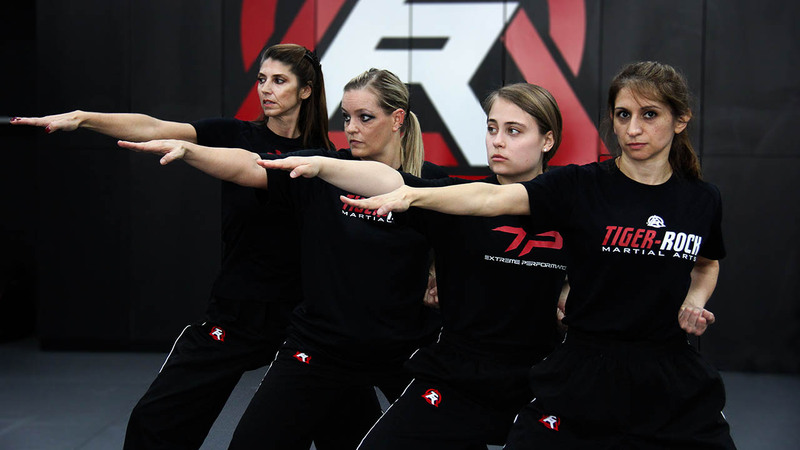 Tiger-Rock Katy’s adult martial arts classes are packed with fitness, fun, self-defense, and excitement! 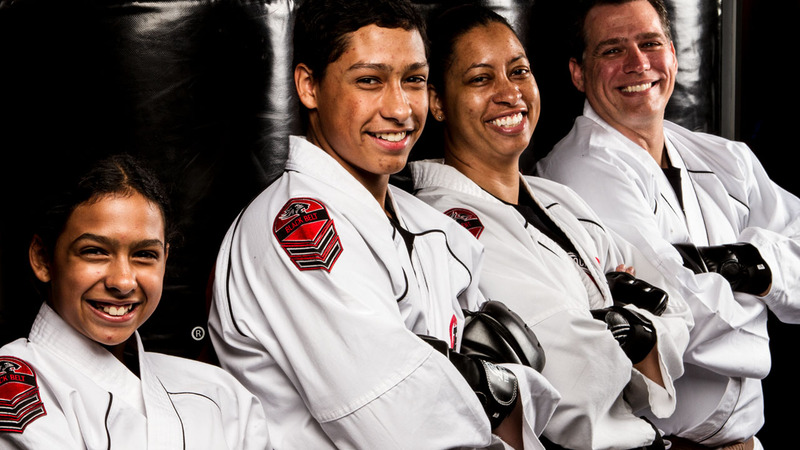 Our amazing Katy TX martial arts class will help you be stronger, safer, and more fit than before! At both of our locations in the Katy area, Tiger-Rock Martial Arts offers convenient evening adult martial arts classes for professionals, college students, and high school students ages 16 and up. Watch the video to learn more about our adult martial arts class! 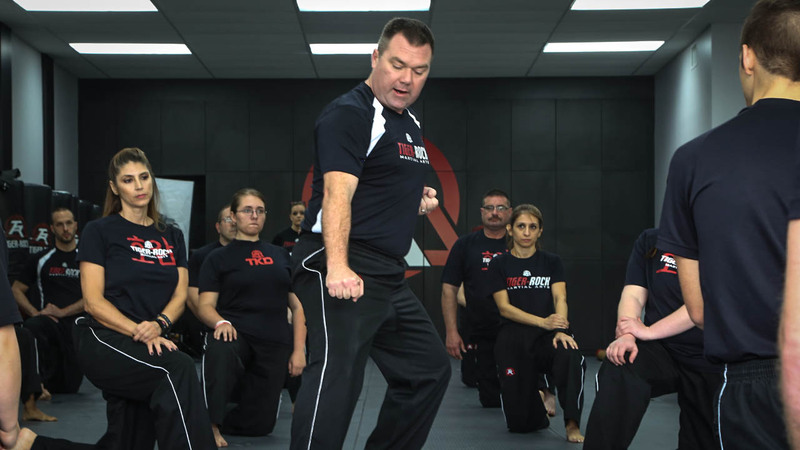 Striking and kicking drills are key elements of our adult martial arts lessons. These drills help build upper and lower body strength and stamina. In addition, these active movements help enhance your coordination and improves your motor skills. We supplement these kicking and striking drills with speed and agility exercises, which further sharpen body movement and coordination. In an unpredictable world, you need to have the essential skills necessary to deal with the threats that may come your way. As such, our Tiger-Rock classes feature real world self-defense training. You will learn important striking, kicking, and blocking techniques to properly defend yourself. Moreover, our Elite Counter Aggression Training system is an integral part of our adult martial arts training. This is a self-defense system that teaches you the skills and tactics necessary to deescalate a physical threat. This training system teaches you important blocking, striking, and kicking techniques you can use to overcome an opponent. Tiger-Rock adult martial arts training helps instill self-discipline and boosts self-confidence. As you advance in your training and skill development, you will notice certain changes in your lifestyle. You will face daily challenges with more confidence and greater self-efficacy. As a result, you will be more focused on your goals and exhibit discipline in completing tasks. Physical Fitness—According to the Centers for Disease Control and Prevention, only 1 in 5 adults get enough physical activity to improve their wellbeing. Unquestionably, becoming more physically active has enormous benefits for your health. Tiger-Rock Martial Arts can help you achieve your physical goals. Our classes combine the latest developments in physical fitness with ancient martial arts traditions. On our martial arts mats in Katy TX, you can improve muscle and bone strength, control your weight, and boost your cardiovascular health! Mental Benefits—Secondly, you can enhance your mental keenness with martial arts training in Katy TX! Tiger-Rock’s adult martial arts classes help you improve your focus and discipline. Thus, you will improve your ability complete tasks and achieve goals at home, at work, or on the mat! Moreover, martial arts gives you an exercise routine in which you could relieve the stress and frustration of the day! Healthier Lifestyle—Finally, martial arts training is a total body workout. Because of its highly aerobic nature, martial arts uses every muscle group that your body has. Unsurprisingly, a typical Tiger-Rock adult martial arts class will result in you burning a ton of calories! As martial arts training will help you manage your weight, you will make better choices in your lifestyle habits to support your training. Start taking martial arts classes in Katy TX today!